Timely, dependable, affordable, snow removal! Fact: This is New England and it snows. A LOT! Snow removal is a seasonal offering we provide including plowing driveways and parking lots, clearing sidewalks and maintaining private roads. Residential driveways start at $40! Emergency calls start at $80! Email us with your address and any important property details for a quote now! · Your driveway will be plowed and you will be charged you’re quoted basic rate if snowfall is greater than 2” and less than 6", once the snow stops. We may make multiple visits at no additional charge, to minimize wear and tear on our equipment. Additional charges at 50% of the basic rate for your driveway will be incurred for every 6" beyond that. · Plowing times are dependent on snow accumulation. Priority will be given to a limited set of customers, based on agreement on your contract, on a first come, first served basis. · Cars should be moved before we arrive. We will plow around cars that are not moved. We can txt you with a 15 minute heads up if requested. · You will be invoiced after each storm and payment will be due upon receipt. Payments can be made by credit card through our electronic invoicing system (PayPal) or via check made out to Forman3D. In addition to doing a good job plowing the snow, Brent Forman is responsive and proactive. He informs via email when he will be starting his route, and gives his clients an opportunity to ask for earlier or later visit. When the snow is borderline (around 2 inches), he gives his clients the opportunity to decline plowing that day. I especially like the way he bills using PayPal. This makes the process of paying for his services very simple and timely. Outstanding Job! Always in touch with his customers before and after each storm. Great service all around. I contacted Brent right before a major storm was coming through the area and he added me right away. Prompt, courteous. All around a great experience. Look forward to working with him as Winter rolls along. Could not recommend more highly. Bren﻿t does a great job. On time, and does a meticulous job. I would highly recommend this plowing service. They were ontime and did the job to my liking. Brent saved us several times last winter when we were caught off guard with unexpected snowstorms! Very professional and he always came in a timely manner. 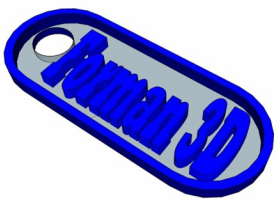 · Forman3D is authorized to do the work on your property. Payment will be due upon completion of the work. · Forman3D is not responsible for any normal wear and tear of the areas to be serviced. Normal wear and tear is considered: any scratching, cracking, chipping, gouging etc., of the pavement, gravel, concrete, portions of lawns or vegetation, retaining walls, berms, ground water drains, fences and any other items not identified by the contracting party in or adjacent to the service areas. · Forman3D is not responsible for any damages, legal or otherwise to surfaces in which the contracting party directs the operator to place the removed snow. · The contracting party accepts any and all responsibility and will hold the snow removal operator and Forman3D harmless for any future liabilities for; slips and falls, ice formations, placed or stored snow, or melted run off that may cause injury or physical peril related to contracted services of snow removal. · Contracting party must accept that all local, state, and federal by-laws cannot be violated in placing unwanted snow on a public way in the process of performing any snow removal from said properties. · Owners, tenants, guests, etc. agree not to place any obstacles in, or alongside of the driveway. Forman3D will not plow obstacles. Owners, tenants, etc. should snow stake any portions of the driveway which could become invisible to equipment operators during snowy conditions or night time hours.